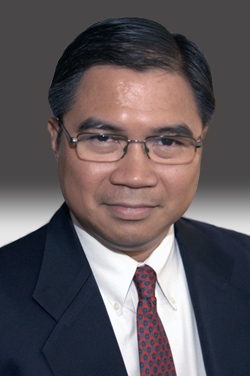 ROBERTO L. GOMEZ | Ostrager Chong Flaherty & Broitman, P.C. Roberto joined the firm in 2001 as an associate focusing primarily on patent and trademark litigation. He has experience in all stages of litigation, from pre-suit investigation and discovery through trial and appeal. His litigation experience includes taking and defending depositions, drafting pleadings, motions and briefs, including appellate briefs, coordinating discovery and managing document reviews and productions in complex litigations. In addition to litigation work Roberto has also drafted and prosecuted trademark and copyright applications. Prior to joining the firm, Roberto worked as an associate at an admiralty law firm working on cargo loss and damage cases. He also had experience with marine casualties and charter party disputes.